The Moderator of the General Assembly of the Presbyterian Church of Ghana, Right Reverend Professor Emmanuel Martey, has exhorted the Judiciary not to be intimidated by propaganda or threat from any corner to speak the truth in the discharge of its duties. “No self-seeking propaganda or threat from any corner – political or otherwise – should intimidate or prevent anyone – a pastor, lawyer or judge – from speaking the truth or doing what is right even at the jeopardy of their reputation, even at their peril because when good people keep quiet, evil people take over,” he said. Rt. Rev. Prof. Martey was delivering a sermon at the 31st anniversary Remembrance Service for three justices of the High Court at the Osu Ebenezer Presbyterian Church yesterday. 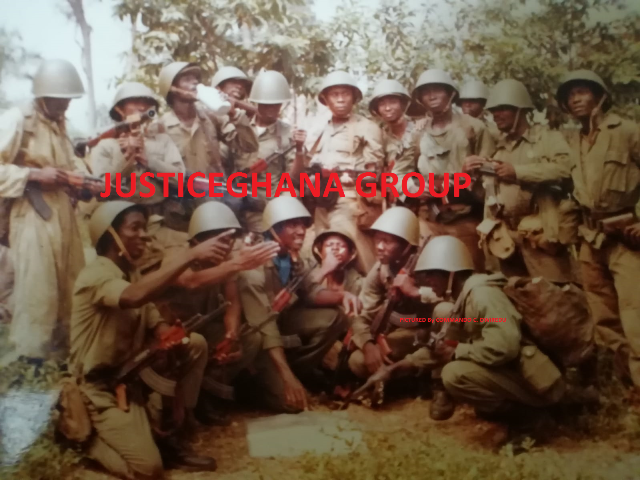 On Wednesday, June 30, 1982, the three justices of the High Court – Mr Justice Fred Opoku Sarkodee, Mrs Justice Cecilia Koranteng-Addow and Mr Justice Kwadwo Agyei Agyepong – as well as a retired army officer, Major Sam Acquah, were murdered in cold blood at the Bundase Military Range in the Accra Plains after being abducted. Although their bodies were soaked with petrol and set on fire by their abductors, a heavy downpour that night quenched the burning bodies, leaving them in a state of decomposition when they were discovered. Members of the bench and bar, including the Chief Justice, Mrs Georgina Theodora Wood, Mr Justice William Atugubah, Nene A.O. Amegatcher, the National President of the Ghana Bar Association, and the Attorney-General and Minister of Justice, Mrs Marietta Brew Appiah-Oppong, joined the Osu Ebenezer Presbyterian congregation to remember the murdered judges. The service was also attended by family members and friends of the three justices and the retired army officer. The first Bible quotation, taken from Genesis 9:5-6, was read by the Chief Justice, Mrs Justice Wood, while the second reading from 1 John 3:11-15 was performed by the Attorney General and Minister of Justice, Mrs Appiah-Oppong. The third text, from John 10: 6-10, was read by a former National President of the GBA, Mr Paul Adu-Gyamfi. The introduction of Justice Atugubah, President of the nine justices hearing the 2012 presidential election petition, and Ms Gloria Akufo, lead counsel for the petitioners, received prolonged applause and shouts from the packed congregation. Delivering the sermon on the theme: “Farewell to Innocence”, Rev Prof. Martey said just as the blood of the early days’ Christian martyrs became the seed of the church, so also the blood of the murdered three judges had now become the seed for rule of law and the dispensation of justice in the democratic governance of the country. He said, however, that the country’s democracy could only be protected by the rule of law that was rooted in the fear of God. “The only solution to the many problems that we face as a nation, therefore, rests with the rule of law rooted in the name and fear of God. The God factor of this equation is indispensable if Ghana is to succeed as a nation,” he stated. Rt. Rev. Prof. Martey said most of the woes that had plagued the country since independence had come about because some past and present leaders had tried to govern without the fear of God. Rt. Rev. Prof. Martey further urged the Judiciary to get closer to the people and civil society, since the country’s future in the current democratic dispensation did not lie either in the executive or the legislature, but with the judiciary. He acknowledged that the ongoing presidential election petition before the Supreme Court had brought the judiciary closer to the people to the extent that taxi drivers and market women could talk of “Amicus Curiae”, a Latin word which means a friend of the court. The Moderator, therefore, called on the judiciary to think of establishing a Court Television Station to educate the people who had now become “Amici curiae”–“friends of the court”. Touching on the power and image of the judiciary, Rt. Rev. Prof. Martey said it was sad that in Ghana’s history lawless regimes got judges and lawyers to support them. “Could you imagine what would have happened if all judges and lawyers refuse to support coup makers? Lawyers and judges are not manufactured in two years. We must bid farewell to innocence,” he said. “It is important for the judiciary to have this self-understanding and not allow itself to be intimidated with threats in the dispensation of justice in this country. Justice emanates from the people and is to be administered in the name of the Republic of Ghana by the judiciary which shall be independent and subject only to the Constitution of Ghana,” he pointed out. The Moderator lightened the rather sombre service midway through his sermon and sent everybody laughing when he asked the packed members of the bench and the bar to remind him when he crossed the touchline in order not to be invited by Justice Atugubah. But the congregants burst into more laughter when the Moderator was told that Justice Atugubah was part of his audience. In his address, Nene Amegatcher explained that the remembrance service was held annually to enable both the bench and the bar to commit themselves to the entrenchment of the rule of law in the country. “By the grace of God, assaults to the rule of law have not and should never manifest themselves in the horrific circumstances we have just reminded ourselves of,” he said. He observed that in a democracy that was governed by the rule of law – with its attendant requirements of the independence of the judiciary, the maintenence and observance of fundamental human rights and the subjection of acts of the executive to the scrutiny of the judiciary and to judicial review – the importance of the legal profession was critical. Nene Amagatcher said the legal profession had played a very important role in preserving the lives, liberty and property of Ghanaians, adding that “without lawyers, no modern state, and even less so, modern democratic state, can effectively function”, since, according to him, such a state would sink rapidly into a state of anarchy and chaos.